In the yesterday’s event held at IFA, in Berlin, Samsung unveiled Galaxy Note 3, Galaxy Gear-Smartwatch and Note 10.1 (2014) Refreshed version of Note 10.1 Tab. These smart and spectacular devices launched with presence of Samsung CEO, J.K. Shin. After releasing the Galaxy S4 and its other varients, Samsung revealed their new upcoming phablet range devices including Note III and refresh version of Note 10.1 (2014) edition. As per rumoured,it is time to good bye 16-GB varient and directly getting device in 32 and 64 GB varients and even if this storage is not enough, you may have support for up to 64GB of additional external storage for both varients of Note 3. There are number of things changed and added mostly including different types of sensors like Geo-magnetic, Gyroscope, Proximity, Barometer, Temperature & Humidity, and Hall Sensor. If we talk about Connectivity then connectivity options on the Note 3 include Wi-Fi 802.11 a/b/g/n, GPS/ GLONASS, NFC, Bluetooth v4.0 (LE), IR, and MHL 2.0. There is big change in S-Pen (Stylus) and multiwindows operating also changed in small manner. Samsung declared that Galaxy Note 3 launch starting from September 25 in more than 140 countries around the world and nothing revealed on pricing yet but it will definitely greater than Galaxy S4 as per discussed features. Must Read: Flowton, First Ever Natural Interface Controller to control your home like Iron Man! Like Sony’s Smartwatch, Pebble watch, Samsung too released extension to a smartphone that can be connected to your Galaxy smartphone and best fitted on your wrist! 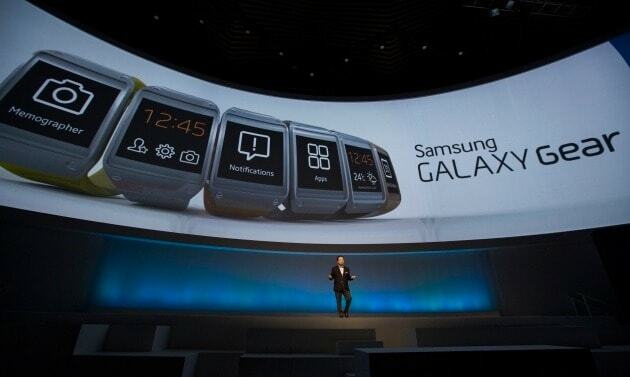 Samsung Galaxy Gear is the first Smartwatch from Samsung featuring 1.63 inch Super AMOLED Screen with resolution of 320 x 320. There is 1.9 MP Camera placed on the Wristband too with 800MHz Exynos processor, 512MB of RAM and 4GB of storage. Samsung Galaxy Gear is a lifestyle device made in selection of six different shades of adjustable wrist band. Galaxy Gear supports voice operations, which letting the user conduct hands-free calls directly from the watch and can also control music played on a Galaxy device. Galaxy Gear has 315 mAh battery and it will last for 1 day i.e, 24 hours max as per observed under normal tests done by Samsung. As per discussed Gear will have Six colors available at launch: Jet Black, Mocha Gray, Wild Orange, Oatmeal Beige, Rose Gold, and Lime Green and will become available after Sept 25 worldwide (in more than 140 countries, Samsung claims) for the price of $299. With the launch of High end Devices including Note 3 and Galaxy Gear Smartwatch, Samsung revealed that Galaxy Note 10.1 Tab will be getting new Refresh version with many new things added that you have seen on Galaxy Note III Phablet Smartphone. The Galaxy Note 10.1 (2014 Edition) will also come with a 2.3GHz quad-core CPU (for the LTE version), 3GB of RAM, and 16/32/64GB of internal storage. Screen is same as 10.1-inch of 2560 x 1600 pixels resolution, running on Android v4.3, the 8MP main camera is capable of 1080p video recording at 60fps and there will be no lag in playing those videos too. As like We got new S-pen on Note III, Galaxy Note 10.1 (2014) Refresh version also getting that with some advance S-pen features though. There is much similar sensors packed in 10.1 tab like Accelerometer, gyro, proximity, compass, barometer, temperature, humidity, gesture. 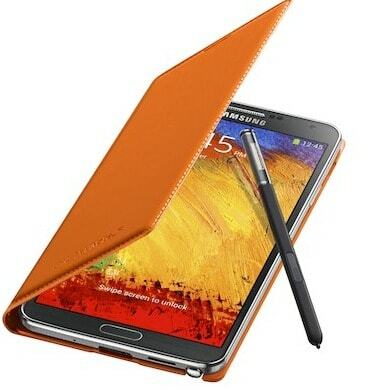 This version Note 10.1 will be available in both Black and White color varient where you have the choice to choose any of them. 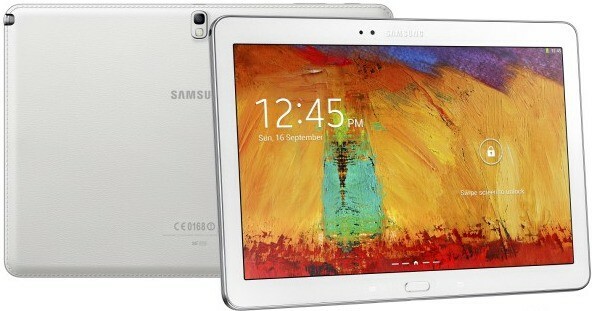 As per Samsung, the Note 10.1 (2014) will go on sale later in Q3 while Note III and Galaxy Gear SmartWatch will be launched after 25th September in 140 Countries Globally. Finally, we will say that Samsung launching much innovative IT products day by day with the increasing of the sizes of their Different devices. Currently Samsung have its 6.3 inch smartphone knows as Mega but devices from Note family have different features set and are very different than any other smartphones. The new wearable concept from Samsung of Smartwatch is another big achievement which will be used as an extension to their Galaxy Smartphones. The new refresh version Galaxy Note 10.1 tab will support many more features and will be much advance in its own as compared to Current Galaxy Note 10.1 tab. We will provide more info on these devices when we get hands on these devices very soon!